Traditional Japanese style gardens and decor incorporate water lilies and lotus flowers that float on some type of water feature. The multitude of colors gives these gardens a serene and somewhat heavenly look and feel. Water gardens are becoming more and more popular mainly because of their almost therapeutic and calming effect. The sound of a gentle stream flowing along with the vibrant colors of the flowers and greenery allow some to get to a pure state of relaxation. We've come out with a line of artificial floating flowers that look just like the real floating flowers found in many gardens. These are great for any application where you want something that gives your decor a pop of elegance. Many event companies are using them for high end parties to use them in fountains and pools. When back lit or under lit, such as in a pool they will give any event a classy look. They've become more and more popular with our wedding clients as they love to use them in their reception decor or when having an outdoor wedding in a garden setting. Use them in your own garden setting to give it a visual beauty only floating flowers can give, then just watch the stress of the day melt away as only a garden can accomplish. 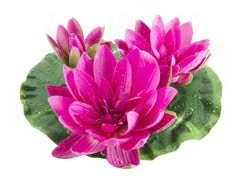 To view our collection of artificial floating flowers click here.